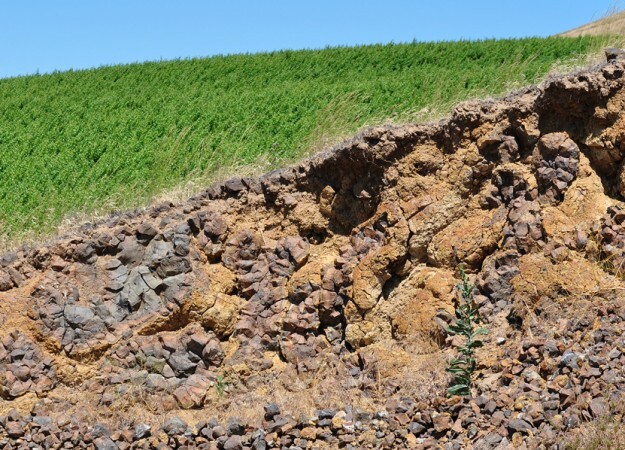 Geologist Kevin Pogue helps winemakers pick out top vineyards based on the regionâ€™s terroir, which entails environmental attributes such as soil, climate, and rock composition. There are few things that geologist Kevin Pogue loves more than gazing into a pit in the ground. 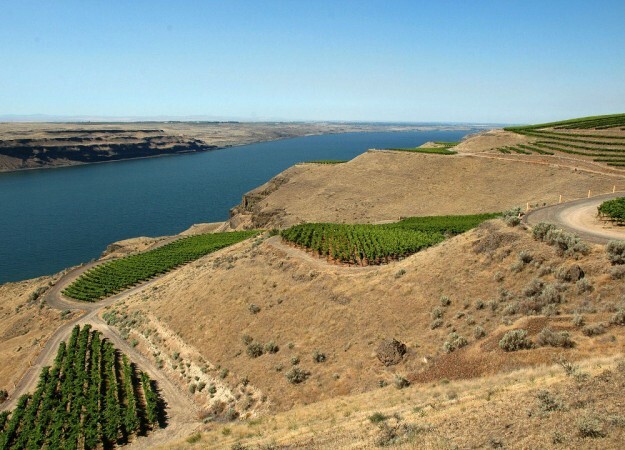 Especially in Washington, where he lives, there’s a lot of “weird stuff” to discover: sedimental remains from a glacial event known as the Missoula Floods, which passed through the area roughly 15,000 years ago; fist-sized gravel, encrusted with white, powdery calcium carbonate; iron-rich, fractured basalt, cooled from lava flows; granite chunks that once cleaved to icebergs; and silt deposits from massive dust storms. “When I look into the ground, I might see [the remnants of] multiple catastrophes,” says Pogue. A typical geologist might use such expertise to monitor natural disasters or assist energy companies in scouting for valuable natural resources. Not Pogue—he uses his rock knowledge to help vintners find prime sites for grape growing. 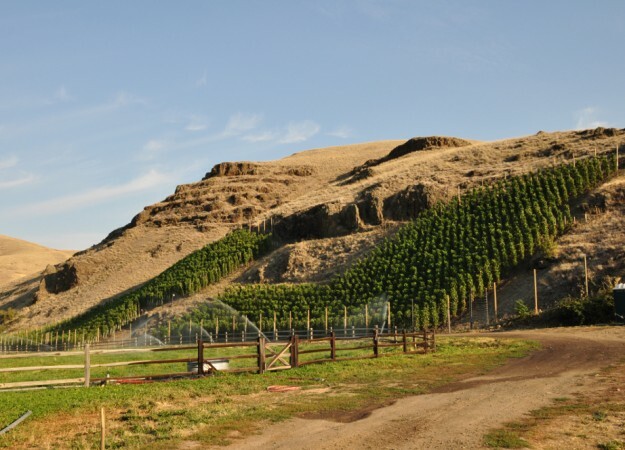 “If you have a piece of land in mind, Kevin can put you on the right direction and tell you if it’s too cold or if the soil’s too rich for growing high-quality grapes,” says Christophe Baron, owner of Cayuse Vineyards, located in Walla Walla, Washington. Middle-aged, with an earnest and nerdy enthusiasm, Pogue certainly seems less pretentious than the stereotypical snooty wine connoisseur. Before he became interested in terroir, he spent a decade studying a major tectonic event known as the Indo-Asian Collision, first as a graduate student at Oregon State University and then as a professor at Whitman College in Walla Walla, Washington, where he still teaches geology. During that time, he spent about a month each year digging up rocks in northern Pakistan. After the September 11th attacks, however, safety concerns forced him to change his focus. 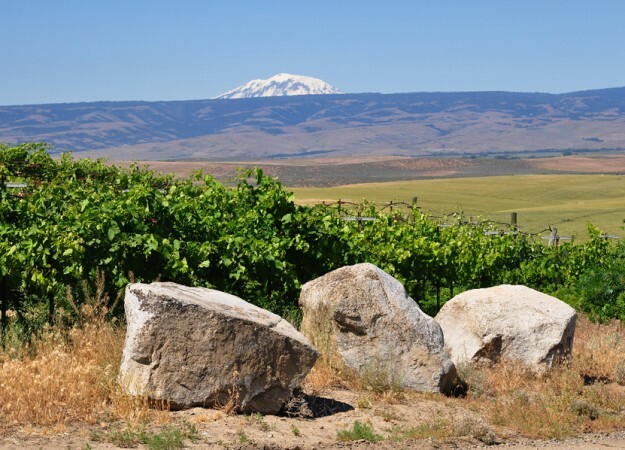 At around the same time, the wine industry in Washington was surging, and new vintners began asking him for advice on where to plant their vineyards. 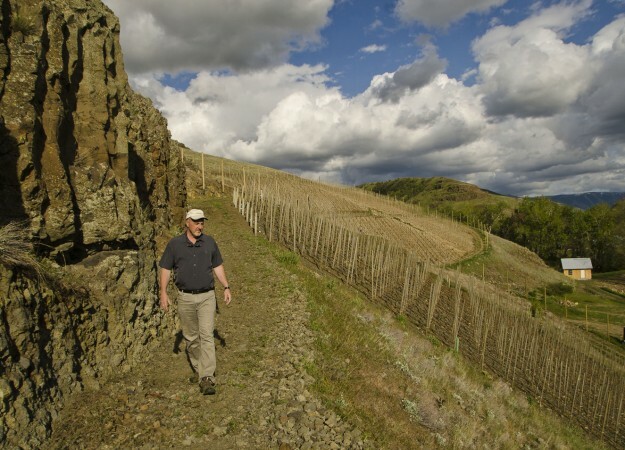 While Pogue was happy to advise local vintners, he hadn’t thought about turning his service into a business until Norm McKibben, a pioneer of the Walla Walla wine industry, invited him to survey a potential vineyard site. McKibben, impressed with Pogue’s knowledge, encouraged him to become a vineyard consultant. Shortly after, Pogue founded his side business, VinTerra Consulting. If the winemaker takes a more minimalist approach, however—one that relies less on additives and more on the terroir to influence the wine’s taste—an imbiber can notice the difference. Pogue, who is especially interested in helping vintners craft unusual tasting wine, actively seeks vineyards where grapes might struggle for moisture. “You get better wine from grapes that aren’t the happiest,” says Pogue. “If you give grapes plenty of water, it will produce big berries with thin skins. The wine ends up tasting watered down. If the grape senses that water is scarce, it will produce smaller berries with thicker skins. A higher skin-to-juice ratio will make a wine with more concentrated flavors.” That’s because the skin, not the juice, is where much of the wine’s flavor, and color, come from. 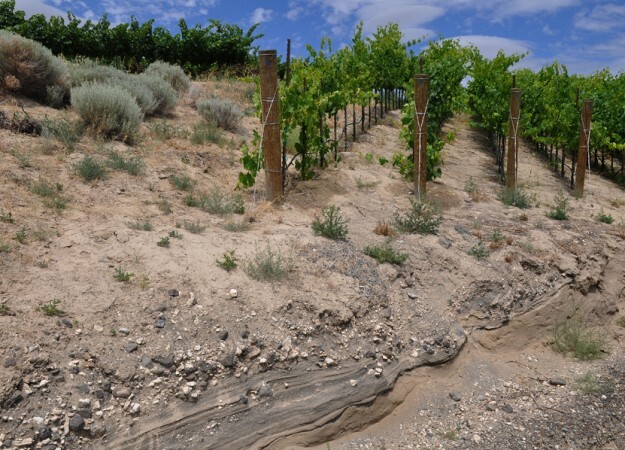 Pogue advises vintners to steer clear of choosing fields that are flat, with deep soils and a high water table, where grapes will receive lots of moisture—those conditions can lead to uncontrollable vine growth and a lower skin-to-juice ratio. Instead, he looks for features that will restrict water availability, including slopes and rocky soils—basically, “land that makes driving farm equipment difficult” and that wouldn’t accommodate tilling. The types of rocks in the soil also matter. 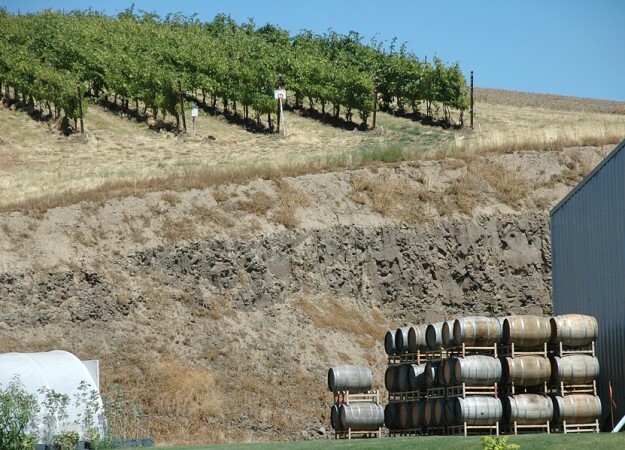 Much of the Walla Walla Valley is covered in basalt cobblestones, which, due to their dark color, heat up the earth more than grass and other rocks, such as sandstone. Hotter soils can act as a cue that causes grapes to ripen faster, says Pogue. Other aspects of a region’s terroir and its effect on grapes are less clear, however. For instance, scientists studying terroir don’t know how soil chemistry influences the phenolic compounds in the grape’s skin. An investigation into the relationship would help explain why one wine will taste strongly of ripe berries, while another—made from the same grapes in a different vineyard—will taste like a spice medley. Pogue hopes that geologists and organic chemists will eventually collaborate to figure out the mystery.